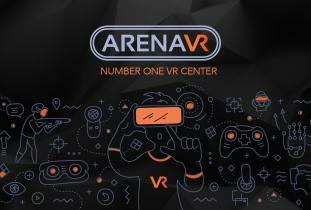 Arena VR is a Winnipeg family owned and operated Virtual Reality (VR) Entertainment Facility. We are proud to offer the most up-to-date VR technologies in an open concept arcade that you, your family, team or party can enjoy. Our facility is designed to bring you a unique, exciting adventure that feels real and out of this world. Our trained professional staff assists you in your full immersion into virtual reality, to support, teach and supervise your experience with us. We are tireless in our pursuit for innovative ideas and new adventures to share with you. Whether you are booking for yourself, a few friends or a large celebration, we have the equipment and staff to exceed your wildest dreams – both at our location, or with our mobile unit, in the comfort of your own space.